Kinsight has been selected by CLBC as one of five agencies in the province to pilot a new LIFE (Learning, Inclusion, Friendship, Employment) program. 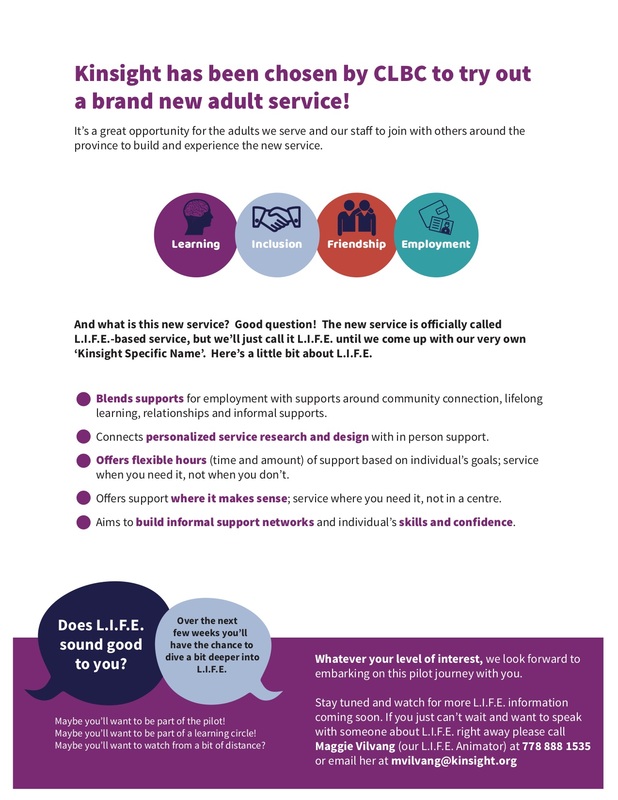 Over the next year, Kinsight will be working with adults and their families and caregivers to develop and deliver this new service that offers a blend of employment, connection and adult learning opportunities and supports. Adults and their families are encouraged to participate in this project and to help us shape its design. Read more about the exciting new opportunity. For more information, please contact mvilvang@kinsight.org.